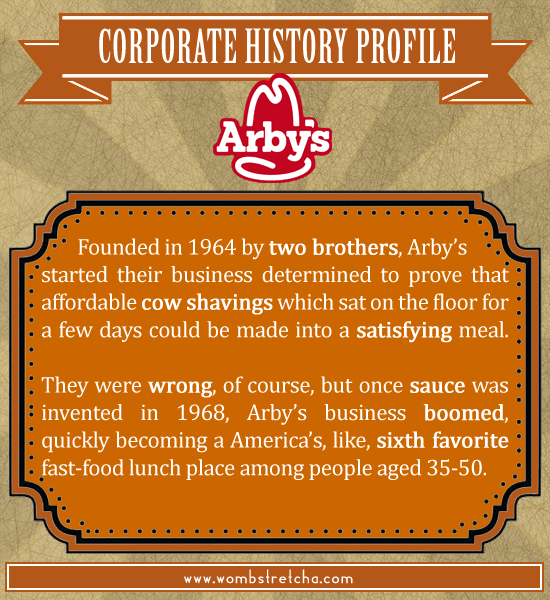 Ah, Arby's. The humble meat-themed fast foodery. They truly experienced the struggle to get their business off the ground.